If you’re a regular reader of this blog, you know that I enjoy reviewing homeschool curriculum. I love comparing and contrasting different resources. Most of all, I love finding products that really work for my children. In addition to curriculum, I’m also a bit obsessed with researching methods of home education. I don’t think that this obsession is a reflection of a lack of satisfaction in my own teaching methods. I am just fascinated by all the different ways that children learn and how different people have implemented different learning strategies. Plus, I am always eager to see if there’s something else I should be doing to help my children learn. When I was given the opportunity to review Educating the WholeHearted Child (3rd edition) by Clay Clarkson (with Sally Clarkson), I was very interested because it was a book that I had heard of, but never read. I thought I knew a little bit about the book, but I was mistaken! I thought the book was a “standard” size paperback book (maybe 250 pages max) that contained ideas to help you and your children enjoy learning together. What I found was much more! This book is huge! It is has 376 (8-1/2 X 11 sized) pages full of information. In addition to the main text, each page has a sidebar filled with extra information such as supporting scriptures, quotes, and historical details. It is impossible for me to thoroughly cover this book in this single review, both because the book is so lengthy that a thorough review would be too long, and I honestly have not had time to digest all the ideas discussed. My very abbreviated version of the Clarkson’s basic premise is this. The Christian home should be the center of learning for the Christian family. Learning should be a natural part of family life, and the primary goal of any Christian family should be to raise children who love and serve Christ. 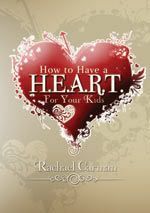 The subtitle of the book is A Handbook for Christian Home Education. This is an excellent title for what you’ll find in this volume. The book is divided into 4 large sections. Within these sections are details of everything from how to train your children, how to be discerning about what you allow into your home, descriptions of different homeschool methods, various personality types, and a thorough explanation of their own method of home educating. Discipleship studies are the most important and include Bible knowledge, reading, devotions, and study. Disciplined studies are the foundation of other study and are essentially the traditional 3R’s. Discussion studies are history, geography, and fine arts. Included in this section are various methods like narration, reading aloud, and memorization. Discovery studies include science, nature study, and foreign language. Discretionary studies are all the extras. They discuss leaving time for private lessons, field trips, and really knowing your children’s strengths and weaknesses. This only scratches the surface of what all you’ll find in Educating the WholeHearted Child. It’s really the compilation of the 20+ years of experience the Clarksons have in home educating their own family and ministering to other home educators. I really appreciate their sharing all their knowledge and experience. But I must confess that certain parts of the book left me feeling more guilty than encouraged. I in no way think that this was their intent. Actually, I believe this is the complete the opposite of their intent. I am sure that they did not do all of the things listed, all the time, with all their children. But seeing them all in black and white, I began to think I was failing my children. They did say that all families were different and that every home would not look the same, but I still left feeling that somehow we weren’t measuring up to their standard of a Christian homeschool. I do intend to spend more time reading this book. I want to read it slowly and allow more time to think and pray about what I’ve read. I wish I had read this years ago. I think I would have felt more encouraged reading it at the start of the journey than I do now, 8 years into it. 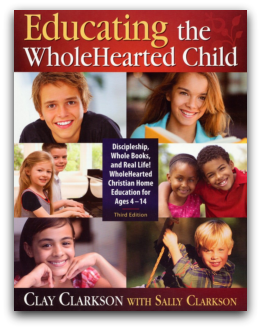 Educating the WholeHearted Child (3rd edition) is published by Apologia Educational Ministries. You can purchase a copy of the book from their website for $22. Disclosure: I received a free copy of Educating the WholeHearted Child from Apologia to review. I was not compensated for this review and all opinions expressed are my own. This post contains an affiliate link.